Another two months have flown by in the blink of an eye. I wonder whether it will ever slow down again or if life is just destined to be on fast-forward from now on? 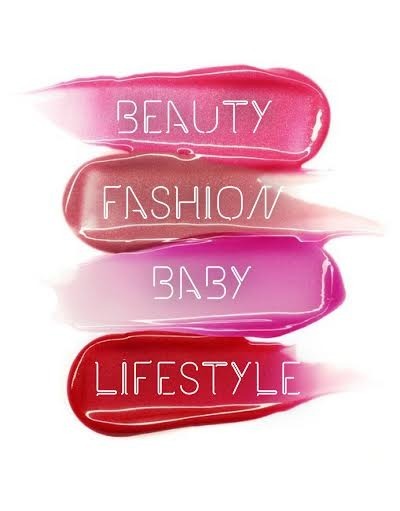 Just the basic stuff of working full-time, blogging and having a very active 2 year old seems to tire me out - when you add on basic adulting, life admin and a little bit of long-game house renovation, things get very hectic indeed! Last year, we got the really joyous news that my friend Holly and her partner Tom were getting married. Not a lot of my friends are married, so I was super excited to celebrate with them - but before the wedding came the hen party! Holly is part of a group of girls I’ve known since the playground (we bonded over Puppy in my Pockets!) and have grown up with, living out our teenage highs and lows together. Despite all going away to different universities and living at opposite sides of the country to each other, when we get together it's like nothing has ever changed. The older I get, the more I appreciate just how valuable and rare that is. So her big day was a a huge deal to me. The hen party was up in Chester, which isn’t a part of the country I’ve visited before but was keen to explore. Holly actually lives over the border in Wales these days, in a fabulous old converted chapel where we all stayed for the weekend. Things started off with that hen party classic - a pole-dancing class! 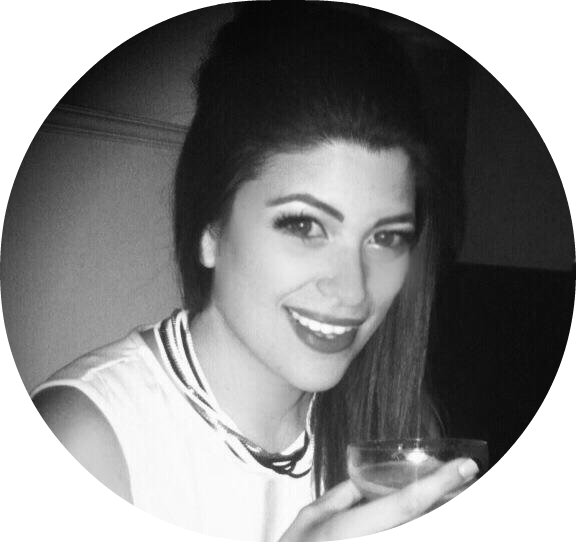 I took a few lessons years ago, so I was curious to see what had stayed with me (answer: not much!). It was surprisingly hard and there were definitely a few very sore muscles in the days afterwards. We had a party in the evening with lots of prosecco and some fun, silly games and then we got taxis into Chester to continue the celebrations. It was Halloween weekend which was perfect for Holly as she’s a huge fan of horror movies. We didn’t do costumes as such but we nodded to the time of year with a few spooky accessories - you can take a look and what I wore and how I did my makeup. Chester was really fun, it's such a pretty town and big enough to be lively, but easy to find your way around - perfect for a weekend break. Holly’s fiancee Tom is in a really great band, so we went to see them play at a bar called The Church and had a good dance. After that, we ended up in a club called Cruise. My memories become a little hazier at this point, but I know there was dancing on a sofa to a Spice Girls mega-mix (we found a floor playing 00s throwbacks, or the soundtrack to our school days), a few disgusting chilli shots, and a meeting with the Jester of Chester who challenged us to a dance-off (we lost). It was just such an incredibly good time - I haven’t laughed so hard or danced so much for a long time. We eventually rolled in at 4am which used to be pretty usual for me but it's practically unheard of these days! My mum came up to visit for a weekend from Cornwall where she lives. It was really special for her to get to spend a bit of time with Theo - the distance is hard and we don’t really get to see each other very much. Mum’s not the best with technology either, so I’ve started to send her postcards via an app called TouchNote. They’re easy for me to make and send for my phone and it means she gets little updates on Theo through the post. I’ve started sending them to my Nana who lives down there as well, and my other Nana over in Lincoln. I don’t have a lot of time so it's a really easy, lovely way to keep in touch. We had a low-key weekend just cooking a nice dinner of Thai prawn curry at home, visiting the soft play and the park with Theo and watching a film in front of the open fire. Seeing her playing cars with Theo was very special - we have to make the most of those moments when we get them. She brought a book of Christmas stories and poetry for Theo that we've been reading every night since. Seb and I had a really rare weekend away from Theo to attend Holly and Tom’s wedding back up in Chester in November. We decided to make a proper weekend of it and booked ourselves into the Doubletree Hilton Hotel and Spa for a couple of nights. We went up to Chester on the Friday and took the opportunity to explore the town and get in some early Christmas shopping, before going for lunch at a lovely little brasserie up in the storied wooden galleries called The Olive Tree. It was really nice to have some time together, although we were missing our little boy quite a lot. We both agreed that we need to make more time for us to do things together on our own, as we usually like to spend any spare time we get with Theo. We spent that evening in the spa at the hotel enjoying the sauna and steam rooms and the thalassotherapy pool. It was great just to completely switch off and I did feel very relaxed afterwards. Saturday dawned chilly and bright, and we made our way to Oddfellows, a quirky boutique hotel in the city centre. Watching Holly come down the aisle in her stunning white and blue gown was a piece of magic - I’ve never seen her look more happy and beautiful. We had a delicious afternoon tea and sipped champagne and gin cocktails while playing the board games they had placed around (Jenga got seriously competitive!). In the evening, there was a casino so we all got to play on roulette and blackjack before being treated to music from two of Tom’s bands including the groom himself playing. Holly got up to sing some vocals on ‘Teenage Dirtbag’ and had us all in hysterics. It was a gorgeous night and a very special event. Holly and Tom didn’t have a wedding list so I put them together a pizza making gift hamper with a pizza stone, special oils, artisan flours and lots of fun toppings. They love movie night at home together so it's one for their next cosy night in. I was lucky enough to be invited on a tour of the 45West Artisan distillery last month, to see how Burleigh's gin is made in person and sample some of the product. I don’t want to say too much because I’m planning a post on it shortly, but it was an amazing experience to understand the creative process and see all the botanicals that go into creating it. It's made me even more of a gin lover than before. I can’t believe we’re only two weeks away from Christmas! It will actually be the third one we've had Theo for, and the most exciting yet! He enjoyed the day last year, but this year he’s much more aware of what’s going to happen and excited about Santa. We’ve been getting seriously festive and enjoying all the preparations, from filling up our big family advent calendar and getting all the presents sorted to going to the Christmas tree farm to very carefully pick out the tree (the husband has very strong opinions on Nordmann Fir vs Norwegian spruce, scent and depth of foliage so there’s a lot of requirements to meet!). We also took Theo along to the Christmas lights switch on in our little town - there’s a farmer market and lots of mini fairground rides for kids, plus fireworks when the lights go on, and it was lovely. It’s our tradition to get fish and chips on the way home and Theo absolutely loved that, it's the first time he’s really had that kind of thing. We’re looking forward to taking him to meet Santa at Wheatcrofts as well, which is something we haven’t done in previous years. Nursery have been doing lots of festive activities too, like making snowflake paper chains, holding a carol concert decorating gingerbread men and they even had them do a letter to Santa by sticking pictures of toys they were hoping for - this is a genius idea as it let us know what he’s really hoping for (a fire engine, a wooden train set and an Iggle Piggle doll from In The Night Garden, apparently!). I can’t even put into words how excited I am to celebrate the big day with him. More adventures in house renovation have been going on slowly and steadily. We had white wooden shutters installed in the front room, which I’ve been wanting ever since we moved in. We have a big, squared bay in that room that it's really hard to find curtains for, and we had these disgusting ones up out of necessity when we first moved in that had just stayed there ever since, so I was glad to see the back of them! We also bought new upholstered linen dining chairs to replace the folding wooden Ikea numbers we’d been using, new cream silk roman blinds for that room and wallpapered the ceiling with white embossed paper. It was a vile job to do, really fiddly, but it looks so much better now it's done! We also got a beautiful light fitting for the bedroom that has lots of crystal drops, like a contemporary take on a chandelier, and we have a new Chesterfield style sofa on order to add to the living room as we only have one sofa at the moment and need more seating. Now, we’re focusing on bigger plans. We need to replace the roof but we’re going to get Velux windows added in at the front, and a dormer with a glass Juliette balcony at the back. The intention is to turn the third floor of the house into a master suite for Seb and I, with a bedroom, a dressing room and a bathroom up there -so when we have a teenage son, we have a whole floor of the house that we can retreat to just for ourselves. We don’t use the top floor much at the moment - it's a bit of a dumping ground - so it will be great to get it sorted, and it's so lovely to have the space to play with. Our neighbours had a similar project done recently and let us have a look at the finished thing which really brought it to life and showed us what we could do with the space. Longer term, we also want to add an extension at the back of the house to create a family room with folding doors into the garden and update the tired kitchen at the same time. We’ll relocate a toilet and cloakroom that currently sits under the stairs, and that will give us back access to the cellar, which is another massive space underneath our feet. Who knows what we might do with that in the future! 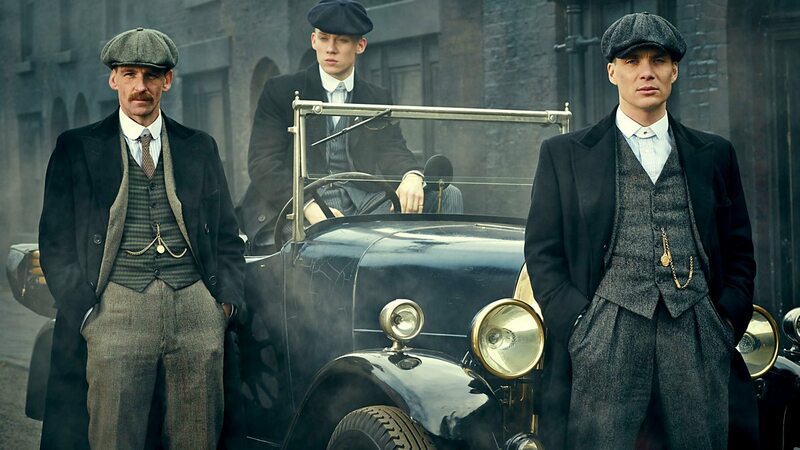 The new series of Peaky Blinders has been really gripping us at the moment. It's so stylish and dark, and I absolutely love Cillian Murphy - his cheekbones and eyes are something special to look at. I’m behind the times, but I’ve also just started series two of Stranger Things and I’m loving being back in that world. It makes me really nostalgic for the 80s, even though I was barely born then - and I never had to compete with any demogorgons! After realising I hadn’t read a proper book in a while and was just devouring magazines, I made an effort to tackle the foothills of my mountainous reading list and ripped through two novels in quick succession. 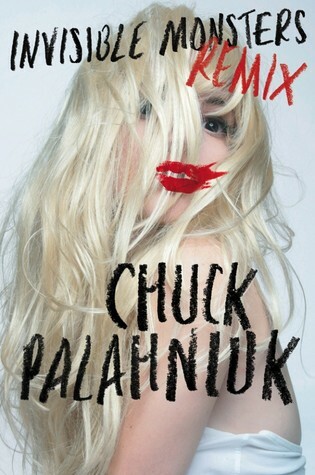 First, I got through ‘Invisible Monsters’ by Chuck Palanhuik really quickly - it's very imaginative if a little gruesome, and compels you to read on - it's about a former model exacting her revenge on those who have wronged her. 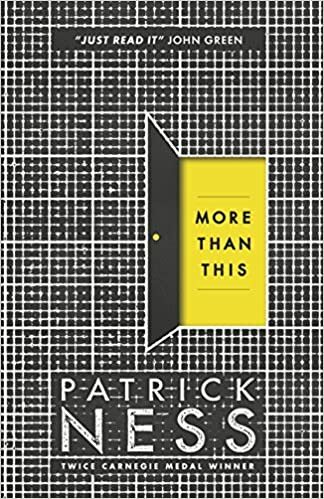 Then I read ‘More Than This’ by Patrick Ness, which is set in a dystopian near future and has quite a few twists and turns, although the ending was ultimately unsatisfying and I left a little annoyed at the lack of answers! The radio in the car is now tuned to Heart Xtra Christmas (I’m going full on festive for the next couple of weeks, so I’ve actually mainly been listening to Christmas songs! The only new music I’ve come across and loved lately is Minerva Confidential - the track ‘Pray To Your God’ is my current favourite. It sounds almost like it should be death metal but it's actually more similar to The Weeknd .